As usual, the story in the September issue of OBM of Peter Gray’s Sunbeam S8 prompted me to dig out this old photo of my S7 with a Monza sidecar. 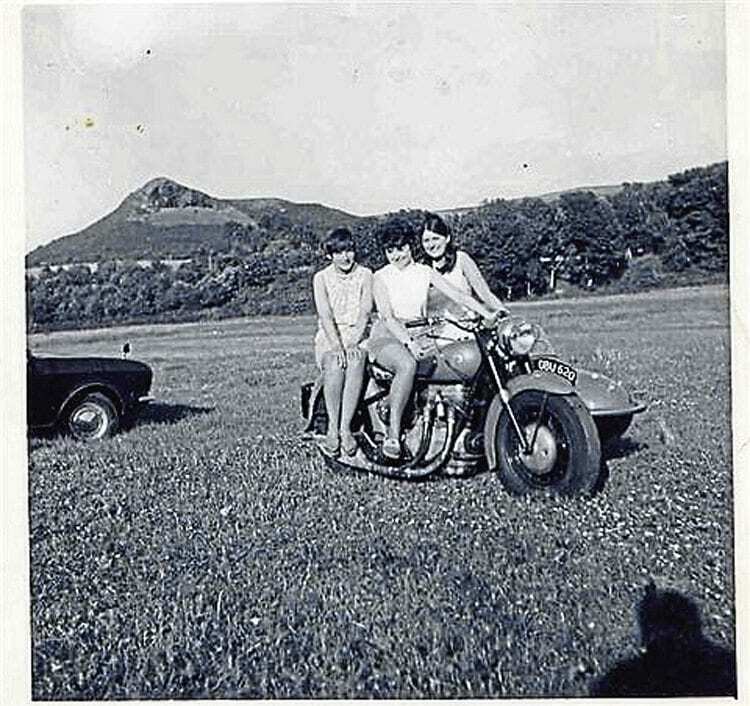 I had it around 1967, and the pic is taken in Sulby Glen parking area in the Isle of Man. The three nice girls are, from left to right, my wife Rosemary (we will celebrate 50 years of marriage in 2019), my friend’s wife and my sister Ann. The S7 was bought and rebuilt then and fitted with a Monza sidecar that was formerly fitted to my Square 4 that I had sold, and a spare SU carb that I happened to have. As I remember it pulled quite well with the Monza but never carried three on the road, just me and Rosemary. But one Friday evening, visiting Rosemary – at that point my girlfriend, living in Warrington – for the weekend, the S7 was not pulling too well and I gave it a fistful of revs, only to bend a valve. I managed to limp to Rosemary’s brother’s house at Winwick, where I removed the cylinder head and got the bus to Rosemary’s house. On Sunday, I got the train home – with the head in a bag – to Royton/Oldham where I lived. I replaced the valves (from Jack Bottomley’s in Cheetham Hill, I think), returning to Warrington the following weekend to refit the said head. Fast forward to the 1980s, I was always told that the lad who bought it said that it set on fire and was scrapped. But, to my surprise, at work one day a chap I worked with had been to the Classic Bike Show at Belle View, showing me some photos of the bikes in the show, among which was the rear number plate GBU 520! So, is it still about today? I have checked the DVLA registration site and GBU 520 was last registered in 2009. If you have the S7, please get in touch through OBM.